The first principle of the Manifesto for agile software development is “Our highest priority is to satisfy the customer through early and continuous delivery of valuable software.” Creating a repeatable and reliable delivery process for agile software development typically involves building a culture of collaboration between development and operations groups. 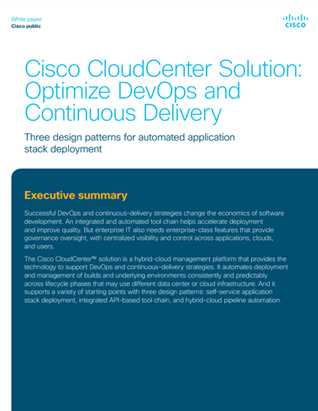 It also involves implementing technologies and processes that enable a continuous-delivery pipeline. Regardless of your target delivery schedule (daily, weekly, or monthly), successful DevOps and continuous-delivery strategies change the economics of software development by accelerating release cycles. This acceleration enables more rapid validation of business ideas, reduces defect rates, and improves service restoration times when failures occur.